I want to give YOU … The Best That I’ve Got! 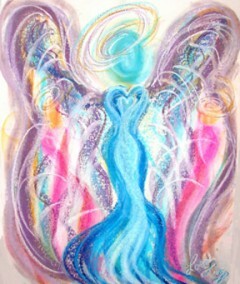 Over the course of the past several years I have found that my Spiritual Life Coaching Work is most effective when we begin with an Angelic Message Portrait™ and then move into the Coaching process … That way the angels set the tone for our coaching by laying out a road map or blueprint in their channeled message. The power of your personalized portrait in turn, jump starts the entire process, as it is activating within you all that we are physically, emotionally and mentally working on throughout our Coaching. It’s really quite magical! From there we will move into our Spiritual Life Coaching work together. This process is simply amazing! Not only is it designed to help YOU find YOUR life purpose, YOUR passion, YOUR reason for being … It is also a perfect way to find the emotional blocks that are preventing you from obtaining your goals and fulfilling your dreams ~ and heal them, once and for all. 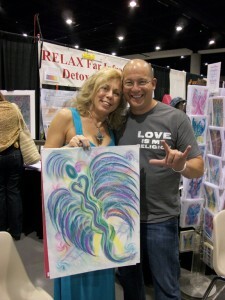 I had the extreme pleasure of co-creating an Angelic Message Portrait™ for Dr. Darren Weissman at the “I Can Do It Event” in San Diego, CA.